In my last post, I mentioned how disappointing it is that major media outlets seem to continue to ignore Ron Paul despite his strong showing at the Ames Straw Poll this weekend. Well, it seems that I’m not the only person who noticed this apparent media blackout regarding the 12-term Representative from Texas. First, I found an article from Paul Jacob with Citizens in Charge. In his blog, called Common Sense (which you’ve been able to find in the links section of this blog), he helps to expose this apparent contradiction. Second, Jon Stewart of the Daily Show discusses the topic at length in the Daily Show last night. It is quite a good watch. I believe that it is important for voters to hear the platforms of all of the candidates seeking the Republican and Democratic nomination in any contest. In order to create an informed electorate, citizens must know their options and decide for themselves who is the best person for the post. The mainstream media, it seems, has already made that decision for you. Ron Paul? He is too extreme; he’s too far out there. I suppose the folks at CNN, Fox News, and others have determined that they do not want Ron Paul to succeed and therefore are taking an active role to make sure that he does not. Now, I’m not one of those people who claim that Ron Paul would easily win if given a fair shake by the media. Securing the Republican nomination is a long and difficult process. After all, there are many establishment Republicans who would not support Dr. Paul under any circumstances and a little favorable media coverage will not change this fact. However, you should also bear in mind that there are a number of constitutional conservatives and libertarians who will not support the status quo or big government Republicans either. Remember the three-legged stool example from many months ago. I do believe, however, that Ron Paul would appeal to a much larger section of Republican voters if they thought that he was a credible candidate. This recent media sham doesn’t help to dispel these thoughts. I wish news outlets would go back to reporting the news rather than making political calculations as to what the news should be. Is it no wonder that more and more people are turning online for their daily dose of news rather than relying on traditional media sources like the paper, TV, and radio? Perhaps nothing will ever change. 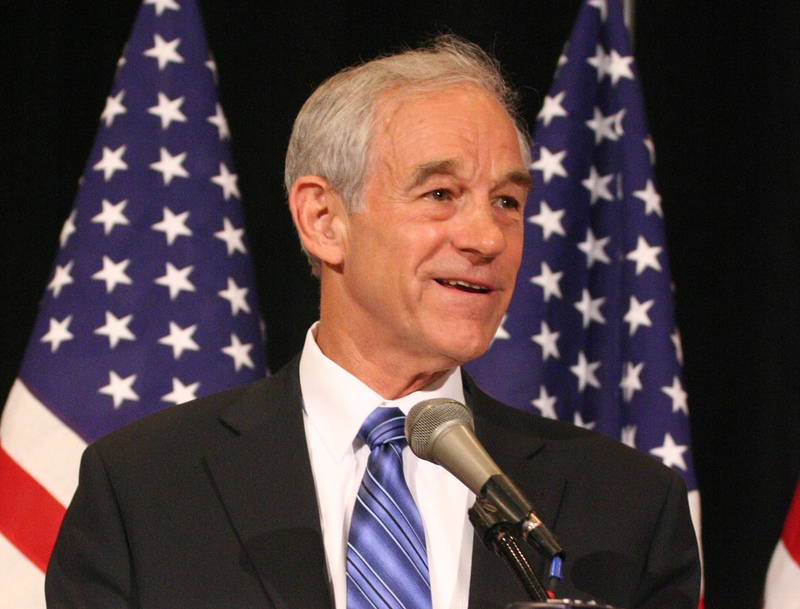 However, I assure you that as long as Ron Paul continues to champion so many of my principles, I will continue to advocate and promote Ron Paul. Whenever the people are well-informed, they can be trusted with their own government. Thomas Jefferson “I am a firm believer in the people. If given the truth, they can be depended upon to meet any national crisis. The great point is to bring them the real facts.” Abraham Lincoln I wonder if Tom or Abe ever had problems like Ron. would be honored if you would add me to your blogroll as I will be adding this to mine shortly! Thank you for being outspoken and supporting liberty. Unfortunately for America, the rest of the media will continue ignoring him and the masses of morons watching TV will eat up the Perry and Romney drivel. When we all know deep down, they are both just politicians who support the Federal Reserve, regardless what they may say. The only reason Perry is even talking about the Fed is he knows Ron Paul is doing well for it. Perry can’t even hold a 10 minute intellectual debate against Ron Paul. Perry is Bush with slicker speech. Beware, he will try to hyjack the Paul supporters if the media is successful in making Ron into a ghost. He attended a Bilderberg meeting in direct violation of the Logan Act. So basically, he’s a criminal for violating the law.